Yoga District strongly believes that yoga and mindfulness trainings should be accessible to all. We are honored to offer a scholarship award for the Dharma Yoga Life of a Yogi (DY LOAY) 500-hour Teacher Training in 2017. 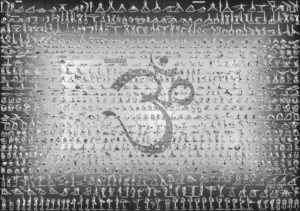 The Dharma Yoga Life of a Yogi (DY LOAY) 500-hour Teacher Training is an opportunity for certified teachers to take an in-depth look at the entire sacred science of yoga through the lens of Yogi Sri Dharma Mittra’s experience with his Guru and his almost half century of practice and teaching. Please answer the questions below and email all supporting documents to Purnima at scholarships@yogaactivist.org by June 25, 2017. 1. What personally inspires you to take this training? 2. How will you make your mark, applying the teachings of this training? 3. How is your situation and/or your plan for applying the teachings unique? 4. Where did you complete your 200-hour yoga teacher training? Please confirm that you have successfully graduated. 5. Describe your background in yoga practice, including years of study and other teacher training programs you have attended, if applicable. 6. Have you previously practiced with Sri Dharma Mittra? If so, please describe how this inspired you to participate in the DY LOAY 500 teacher training. If you have not previously practiced with Sri Dharma Mittra, please describe your experience with Dharma Yoga, if applicable. 7. Do you have an ongoing relationship with a spiritual teacher, mentor or guide? 8. Describe your home practice of yoga and meditation. What inspires you and draws you to the mat or cushion? What are your current challenges in your practice on and off the mat and cushion? 9. What draws you to Dharma Yoga and this training? Why should you receive this scholarship? 10. How do you plan to share your newfound knowledge with others in your community? How will they benefit from it? 11. Which asana most connects you to your inner grace? Why? 14. Please summarize your monthly expenses and all income. -Written verification of your monthly income such as pay stubs, income tax return or AFDC form. -Written verification of expenses (i.e. medical/dental costs) such as a bill, receipt or check stub. -A copy of the main pages of your last tax return. -Copies of three months of most recent bank statements. -Any other documentation that will help establish need for sliding scale, scholarship, or work-study. -Copy of your 200 hour yoga teacher training certificate. Information which I have provided above is accurate and complete. I agree to notify Yoga District if there is any change in my income or expenses which would affect my eligibility for the Dharma Yoga Life of a Yogi (DY LOAY) 500-hour Teacher Training scholarship within 5 days of those changes. Grants are made possible in part by the generosity of DC-based Dharma Yoga teachers. Yoga District is incredibly grateful to share a scholarship for the Dharma Yoga training given the generosity of our community.